What a weekend. There’s not much better than spending two wonderful days with those that you love at the temple. The designer’s parent’s anniversary was last weekend. We wanted it to be a special one for his mom, so we planned a family temple visit for Friday evening. Happily, everyone local and able, attended the Provo Temple together. Afterwards we had dinner together with the two youngest members of the family: the grower and his cute cousin, Haley. A big thanks to my bro who watched the grower outside of the temple, so that we could do a sealing session together. The builder & dancer were at home with a babysitter, and it sounds like they had a blast as well. In the morning, the builder wanted to know where his “friend” was. 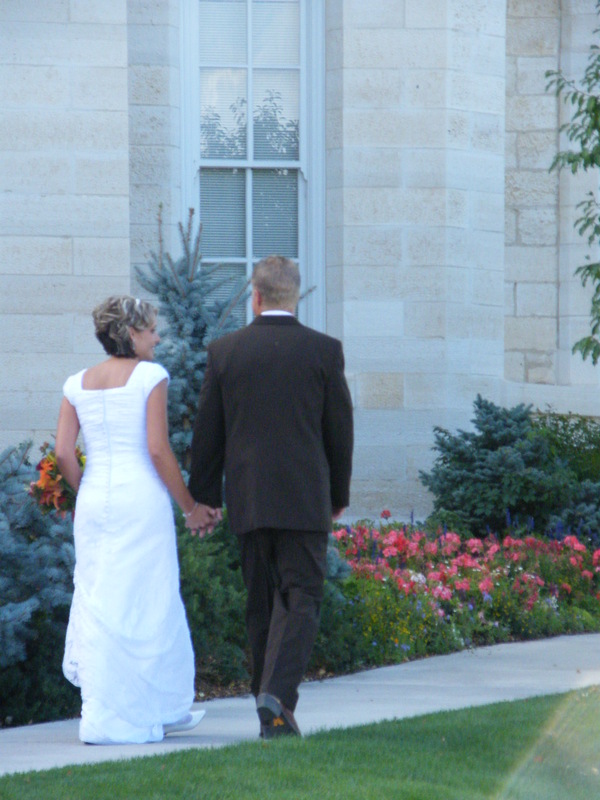 Yesterday, I woke early, drove to La Fayette 22 to pick up my bro, and we drove to the Manti Temple to see our cousin Mike marry his sweetheart, Emily. It was a beautiful day. And they were so happy. I wish them the best and every happiness. My brother was so excited to spend time with his cousins that he hasn’t seen since before his mission. The cousins he is closest to in age have all married while he was in Korea. Things change so quickly. But being together as a family, celebrating a new life and adventure for Mike & Emily, made time stand still for a few moments. You can’t help but just sit for a minute and want to take it all in, find a way to remember and savor the special moments.